Spring officially arrived on March 21st. 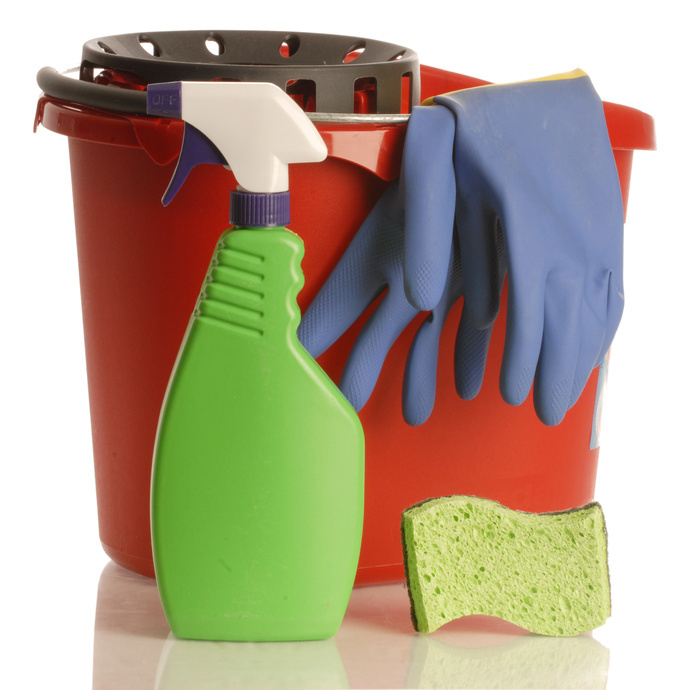 With spring comes the time to do those dreaded spring cleaning projects. Spring cleaning began hundreds of years ago. People would close up their homes as a protection against the cold and wet weather during the winter months. Dirt and ash from fires, residue from oil lamps and other dust would settle in every surface of the home during the winter months. When the first sign of spring weather made an appearance, people would finally open up their windows and doors and thoroughly clean and air out their homes. We continue that cleaning tradition today by doing spring cleaning, remodeling and renovating projects during the warmer months. According to a recent American Cleaning Institute Study, 72% of American households do some sort of spring cleaning and it takes about a week to do all of the projects. Women, at 50%, are the ones most likely to do the spring cleaning projects. Spring cleaning can be a daunting task. However, if you have a plan and an ending goal, then the spring cleaning projects can actually be easier to accomplish. A major component of a spring cleaning project is de-cluttering and re-organizing the spaces that you are cleaning. In order to become organized, you must first clear out the room that you are cleaning. Then, sort the items of the room in to the following boxes or piles: Keep in the room, store, sell, donate or throw away. Self storage is a great option to store items that you can’t get rid of, but still want to keep. Storage World has 3 locations in the Atlanta, Georgia area (Decatur, Jonesboro and Stockbridge) that can help you with all of your needs from packing and moving supplies to climate controlled storage units. Our moving boxes are the perfect size to help you with your spring cleaning sorting! In order to help you through your spring cleaning projects, here are some great tips to help you make the tasks easier. There are also many great websites that can offer spring cleaning tips and ideas including Martha Stewart and HGTV. 4. Do your projects room-by-room. Each room of the house will have special needs, such as cleaning the tiles in the bathroom to shampooing rugs and carpets. You don’t have to do the entire checklist at one time. Pace yourself and you will get the project done. 6. Clean out the refrigerator and pantry. Throw out expired food and staples. Wash down the shelves and the cabinets. Dispose of any miss-matched tops and bottoms of storage containers. 7. Throw out expired medication, cosmetics and other beauty supplies in your medicine and linen closets. Wash down the shelves and doors in your medicine cabinet or linen closet. 8. Change the batteries in your smoke alarm. This should be done at least every 6 months. A good reminder to do this is during the time change every spring and fall. 9. Make sure that items in the room are put away in their proper home every evening. This will help keep the room organized long after the spring cleaning project has been completed. 10. Keep up your spring cleaning tasks throughout the year. Do some of the bigger tasks every fall and spring.